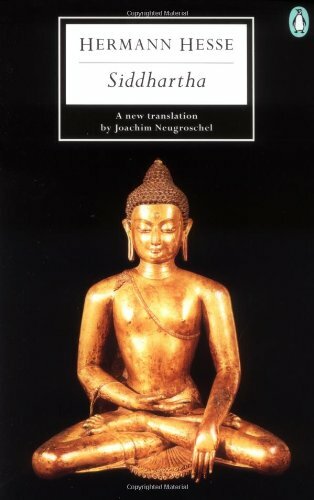 Hesse's famous and influential novel, Siddartha, is perhaps the most important and compelling moral allegory our troubled century has produced. Integrating Eastern and Western spiritual traditions with psychoanalysis and philosophy, this strangely simple tale, written with a deep and moving empathy for humanity, has touched the lives of millions since its original publication in 1922. Set in India, Siddhartha is the story of a young Brahmin's search for ultimate reality after meeting with the Buddha. His quest takes him from a life of decadence to asceticism, through the illusory joys of sensual love with a beautiful courtesan, and of wealth and fame, to the painful struggles with his son and the ultimate wisdom of renunciation. This new translation by award-winning translator Joachim Neugroschel includes an introduction by Hesse biographer Ralph Freedman. About Ralph Freedman (Introduction) : Ralph Freedman is a published author. Published credits of Ralph Freedman include Hermann Hesse Pilgrim of Crisis. About Joachim Neugroschel (Translator) : Joachim Neugroschel is a published translator. A published credit of Joachim Neugroschel is The Man in the Iron Mask (Penguin Classics). Thank you so much for having this amazing top essay writing websites. I really enjoy reading such informative and useful content on your website. Keep it up to share latest stories and book reviews on your website. Would like to recommend your website content with my friends as well hope they found it useful.